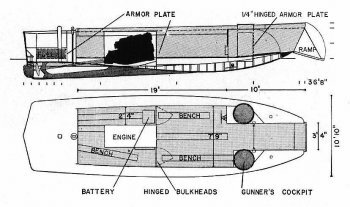 Dimensions 35'10" by 10'9" by 3'6"
Landing Craft, Personnel, Ramped were a further development of the LCPL that replaced the solid bow with a small ramp. 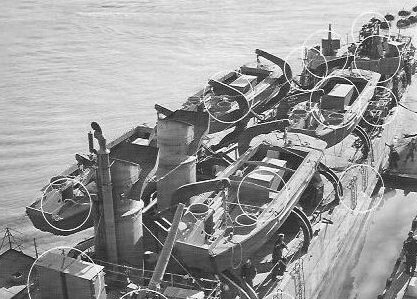 This eliminated the necessity for troops to disembark over the sides of the craft. They were replaced for most uses by the LCVP after 1942. The following table gives total production. A total of 413 were transferred to Britain under Lend-Lease. About 30% of those retained by the U.S. were allocated to the Pacific until the final year of the war, when most of the amphibious fleet began to be shifted to the Pacific.